Planespotters are hobbyists who have a passion for planes: they track, photograph and record aircraft takeoffs and landings, taking note of registration numbers and other markings. Some follow just particular types of aircraft, others just an airline or a national insignia. A lot of them take photographs of their sightings, and like other hobbyists, they post the photos online. 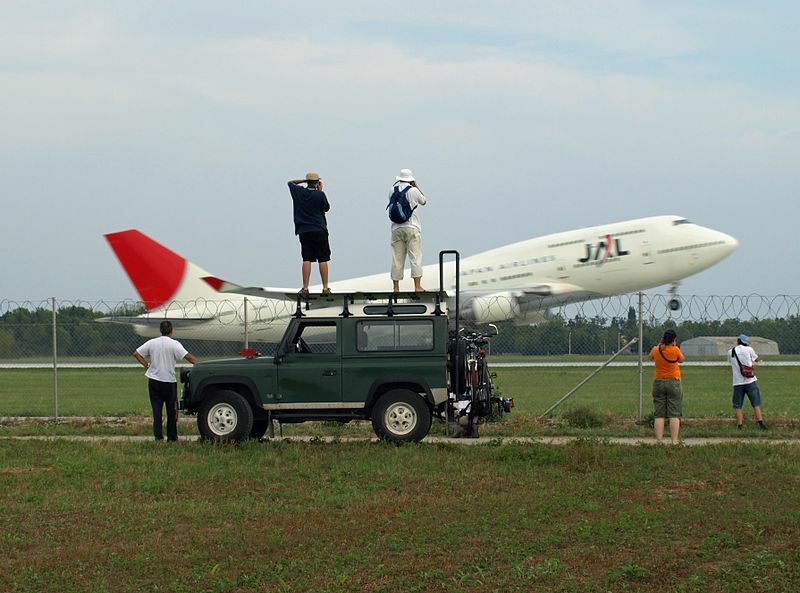 The Open Directory Project lists nearly 60 websites that collect planespotting pictures. Many of these sites have searchable databases, where one can search planes by make, airport sighted and, more importantly, by tail number. Planespotters have helped pry open other secrets as well. As the UK journalist Stephen Grey wrote in Ghost Planes, data from planespotting sites helped journalists piece together information on extraordinary renditions, where the CIA abducted suspected terrorists and transported them to secret prisons around the world. Grey recounted how the publication in a Pakistani newspaper in 2001 of the tail number of an American used to transport a terror suspect to Yemen provided “the classic investigative fingerprint.” Soon afterward, the Washington Post had a story on another rendition, with the tail number of Gulfstream V jet that was used to take an Al Qaeda suspect from Jakarta to Cairo. Grey, Washington Post reporters and Swedish journalists traced the tail numbers to aircraft registries, which led to the names of the bogus companies that the CIA had set up to carry out the renditions. For sure, the information from planespotters is spotty and not as reliable as that from aviation authorities (the site landings.com links to aviation authorities worldwide). But where other information is scanty, unavailable or deliberately hidden, planespotting sites become especially valuable. They’re also easy to use. In Hong Kong, Next Magazine used planespotting sites to prove that the then chief executive, Donald Tsang, had flown to Japan gratis on a plane provided by controversial Macau casino king Stanley Ho. Tracing where planes go is not an idle hobby. In 2005, the Wall Street Journal joined two databases: flight records and golf handicaps posted on the websites of golf associations. (Golf handicaps were then posted online to deter cheating.) Its reporters found that corporate jets were being used “as airborne limousines to fly CEOs and other executives to golf dates or to vacation homes where they have golf-club memberships.” Last year, the Journal got through a freedom-of-information request the flight records of every aircraft on the Federal Aviation Authority’s database; it found corporate jets being flown to such places as Tahiti, where top Google executives went to watch the total eclipse of the sun. The Journal posted an interactive map that shows the flights of corporate jets from 2007 to 2010. Unfortunately, some companies have since asked the FAA to bar public access to the flight records of their corporate planes, making it harder for shareholders to track how company funds are being used (or misused). Interesting. Investigative reporters can also utilize social media. Filipinos are know to post almost anything and everything to Twitter and Facebook – which make tracking on the activities of public officials a little bit easier. Of course tracking should be limited as not to invade privacy. The drinking buddies of a mayor could hint us what kind of Mayor he is. Indeed, Nonoy, social media is a great resource for investigative journalists. Facebook, Twitter, Flickr provide so much information that can be mined for stories. Thanks for following the blog.